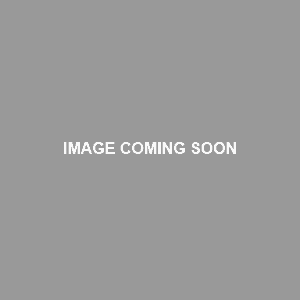 The pronator quadratus is (L. pronus, lying face down ; quadrus, square.) is a rectangular muscle on the front of the forearm that connects between the radius and the ulna. It is the prime mover in forearm pronation, receiving help from the pronator teres during rapid pronation. 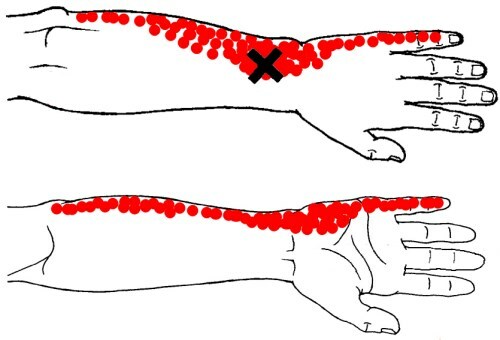 It is also noted for its role in preventing the separation of the ulna and radius when force is transferred up the forearm through the heel of the palm (e.g. breaking a fall; palm heel strike to a hard surface). Classified as part of the deep anterior compartment of the forearm, the pronator quadratus is the deepest of the deep muscles in the front of the forearm, lying deep to the mass of wrist flexor tendons. Its parallel-oriented muscle fibers run laterally from its origin on the distal anterior ulna. 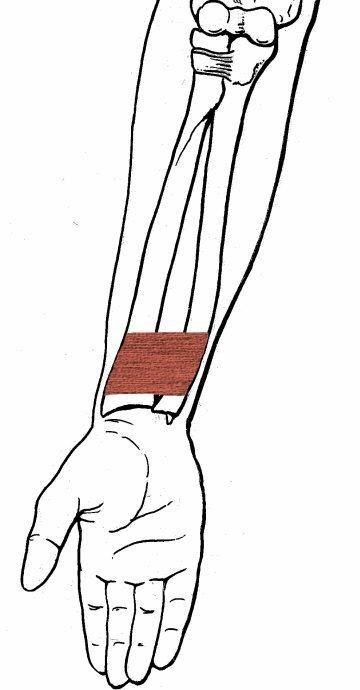 The fibers cross over the interosseous membrane of the forearm before inserting on the distal anterior ulna, forming a flat quadrate muscle shape. Note: The chart below only includes direct exercises for the pronator quadratus (and pronator teres). Both pronator muscles are trained indirectly via isometric contraction in exercises involving a pronated grip (e.g. pull up, reverse curl, bench press). The following stretches target both the pronator quadratus and pronator teres. Note: There were no pre-existing trigger point/referred pain diagrams available, so I made this one from scratch based on this study. Overactive/Short Pronator Quadratus: The pronator quadratus may become overactive and short due to overuse from repetitive activities involving the motion of forearm pronation, as well as activities involving excessive isometric contraction of the pronator muscles. That said, a tight pronator quadratus is not likely to lead to injury. What’s more important to worry about is how repetitive pronation can lead to pronator teres injuries: An overactive/short pronator teres can lead to pronator teres syndrome or median nerve compression, which in turn causes pronator quadratus weakness. The treatment protocol for overactive/short pronator quadratus is the same as that for overactive/short pronator teres. So if you have tight pronator quadratus, read these guidelines. If you have no issues with your pronator quadratus (or pronator teres), there’s no significant benefit to direct pronation training. If you insist on doing it anyway, if only to keep the muscles strong and healthy, use the following protocol: Choose one pronator exercise and do it for 2 or 3 sets of 8-15 reps, 1-2 times a week, whenever you train forearms. Use the same training protocol for your supinator to maintain balance between these opposing muscles.